Last year was a wedding season of Bollwyood. Many stalwarts alike Sonam Kapoor, Priyanka Chopra and Deepika Padukone got married in 2018. The industry circles are also expecting some big fat weddings this year as well. First of them is of Arjun Kapoor and Malaika Arora. Apparently, the couple is planning to get hitched in April. 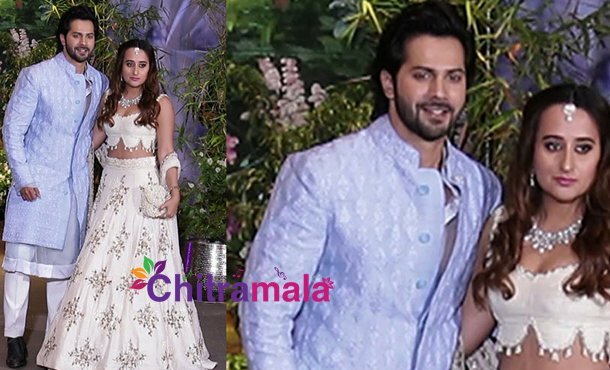 Meanwhile, there were also reports saying that Varun Dhawan will marry his girlfriend Natasha Dalal very soon as well. The actor was asked about the same in his recent interview. He clarified that it’s not going to happen this year. “I’m not saying I won’t get married but it’s not this soon. If I’m doing all these movies, I need to find the right time for that,” he stated. Varun and Natasha are childhood friends and even both their families have approved their relationship long back. So, it is sure that they will get married eventually for sure, if not this year. Meanwhile, on the career front, Varun is prepping up for the release of his next film Kalank, which will hit the screens on April 17.